Anne uses simple materials and her hands to create new forms. She has a life long love of making, using basic ‘domestic’ skills of sewing for her family, knitting, crocheting, weaving, spinning, plant dyeing, felting, simple book making, stitching, drawing with natural pigments and free form basketry. As one of the initial group that started the first Waldorf/Rudolf Steiner school in WA, she developed the craft curriculum and taught at the Perth Waldorf School for many years. Since then she has taught children, adults and community workshops. Anne has turned her focus to exhibiting her works, with a solo exhibitions at Mundaring Arts Centre in and participates in many group exhibitions. She has been part of Common Threads Woven Through Community since its inception in 2018 and is currently working with artists to co-host events at the Midland Junction Arts Centre in 2019. 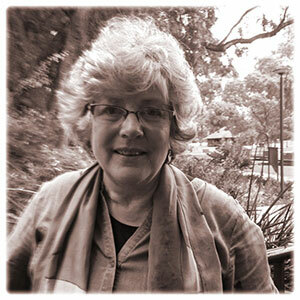 We are blessed at The Sound Temple to have Anne join us to as an advocate and presenter in the Perth Hills as part of our Common Threads Woven Through Community Exhibition.